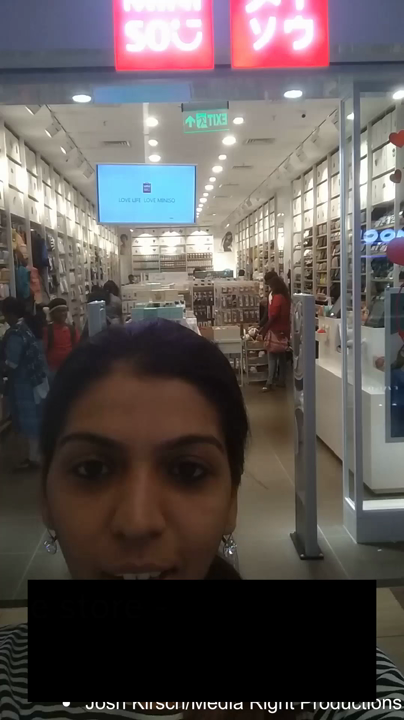 Miniso Opens Outlets In Chennai And We Can't Keep Calm! Japanese brand, Miniso has finally opened in Chennai and we are super excited to load up on everything from water bottles and cutesy pillows to funky earphones and fluffy towels. After opening stores in Delhi, Mumbai, Bengaluru and, Hyderabad, Japanese designer brand, Miniso has finally opened in Chennai. The store which is located at Forum Vijaya Mall and Phoenix MarketCity houses some really amazing products. Neck pillows, stationery items, skincare and cosmetics, glass bottles, and bags. This one-step-shop has stylish and affordable products from lifestyle, kitchenware and electronic appliances to skincare, stationery and office supplies. The best part the merch starts from INR 150 onwards. We totally love their handbag section that look stylish, are budget-friendly and super durable. Their backpacks are are priced from ₹1,000 and come with several compartments. We specially like the bags that look more like a mini suitcase and come in different colours. Pouches with tassels is another favourite that will look chic for a casual evening. In limited pastle shades, the wallets look sleek and durable, too. All the artists in the house, take note of this store as they have a lot of stationery items- from paints, paper, stencils, etc. Their neck pilllows are the best - they come in cute cat and bear faces and are your best friend for red eye flights. Their store is massive so browse through it with a lot of patience.